The Gneiss Outcrops Scientific Natural Area (SNA), formed approximately 3.6 billion years ago, are among the oldest known rock on the earth’s surface. This SNA’s significance steadily increases as other outcrops along the Minnesota River are exploited for granite mining, housing, and recreational use. These pyramidal outcrops along the Glacial River Warren Valley rise to about 50 feet above the general level of the land, revealing parallel bands of gneisses. Granitic gneiss is light-colored, pink to red; the less common hornblended-pyrozene gneiss is darker, ranging from gray to black. This afternoon trip is lead by Clean Up the River Environment (CURE) board member Don Robertson. Robertson has lived most of his life in the Minnesota River Valley and is a certified Master Naturalist. Participants will need to register in advance, space is limited, so register early. 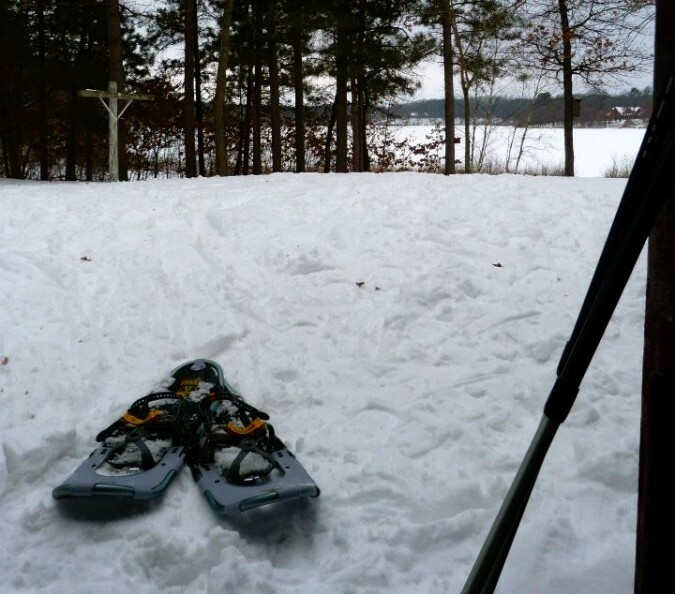 A limited amount of of snowshoes are available if you don’t have a pair to use. Let us know if you need a pair when registering. The outing is pending weather conditions. Participants should dress in layers, bring water and a snack. Bathroom facilities are not available. Meet at the Yellow Medicine County Historical Society Museum parking lot at 1 PM where everyone will gather and carpool to the site. Free for CURE Members and $5 for non-members. Click here for CURE Membership Information or to become a CURE Member today. This outing is a part of CURE’s 2014 Events & Adventures series. REGISTRATION REQUIRED. To register, please email peg@cureriver.org or call Dixie at 1-877-269-2873.